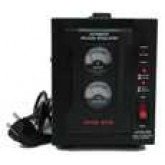 The 15000 watt step down converter listed above, it's designed to allow 110-120 Volts Items personal care Items like: hair dryers, curling Irons, and shavers as well as appliances such as blenders, washers and dryers with power requirements varying between 0-15000 watts, being used in a country with power supply rated 220-240 Volts. (Step down) The unit described above it's designed to be hardwired straight into a electric box (circuit breaker box) once that a standard power outlet can not handle over 5000 watts. Other appliances that may also fall in this category are desktop computers,small and major kitchen appliances,power tools, professional equipment and machinery Get to know the power consumption of your Item, prior to the purchase of your converter in order to determine the right voltage converter for you. Please use our Voltage Converter Finder to find the answers to your specific needs.